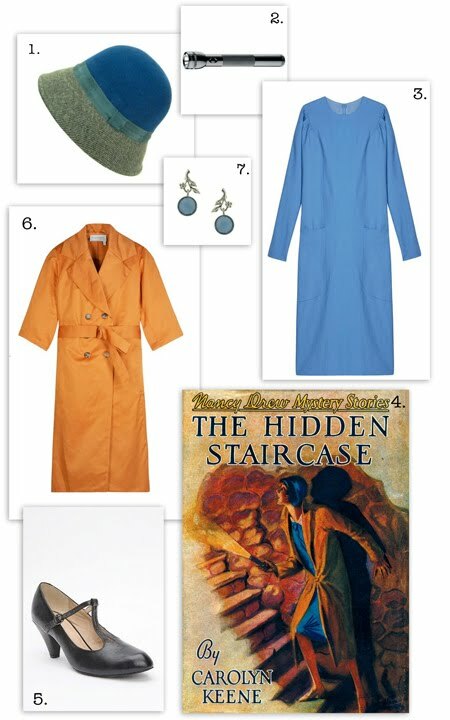 Want to dress like Nancy Drew? Specifically, from the cover of "The Hidden Staircase"? Here you go! As my friend Lisa, probably the best Nancy Drew fashion observer out there, says: "It's amazing how expensive that blah outfit would be."